what a fun image. lovely card. Aaw, what a CUTE card! The image is so sweet and love the fun little doily behind! 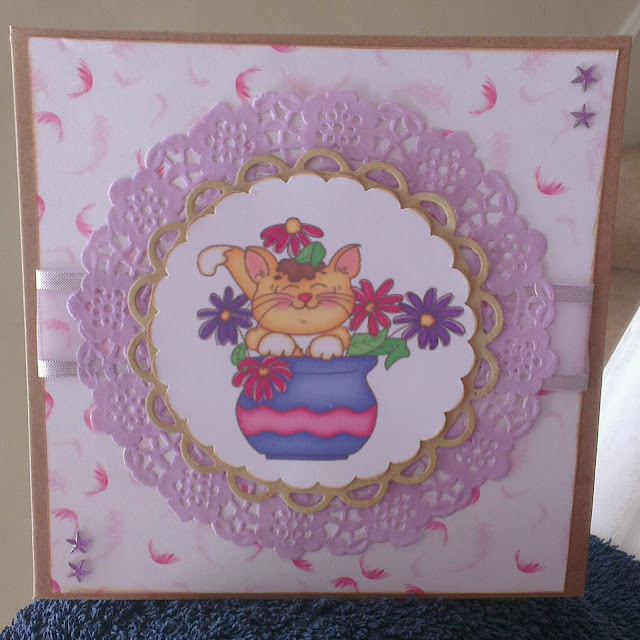 What a sweet card with our adorable kitty image and the pretty doily and die cut. Thank you for joining us this month at Image That! Hope to see you again next month. What a darling image - and such a pretty doily too! Love the doily and the colours you have used. Thanks for joining us this month at Imagine That! Digis by Kris.